my6sense, which we talked about back in September, has quickly grown into my favorite way to read news on my Droid. While there are offerings that do a great job of aggregation, nothing beats the intuition factor of my6sense. Having an application that can truly get to know you and your preferences is such a time saver, but it’s true genius comes in its ability to find the things you wouldn’t find yourself. Set Sorting: ‘Remember my last sorting mode’. Per your requests, we adjusted the app so that when you sort a stream by time or relevance, that sorting becomes the default view for that particular stream. For those of you who have been using the app for any length of time, you’ll understand immediately how great these changes are. For the rest of you, simply know that the my6sense team has gone to work coming up with answers to all of the major questions we long-time users have asked. 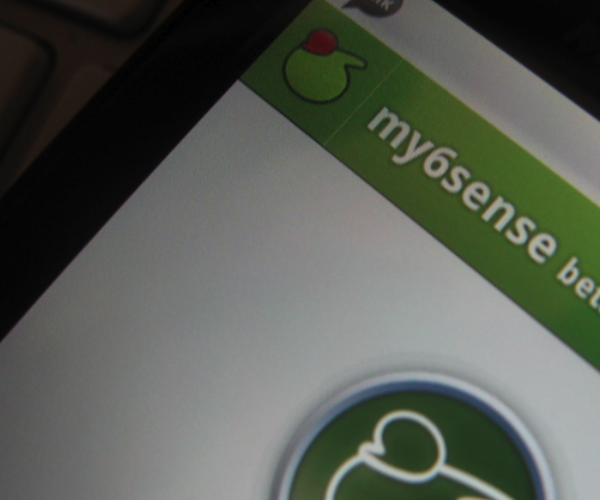 You can grab my6sense, for free, from the Android Market. Please do, and be prepared to not make up your mind about it for around two weeks. Because of the learning algorithm, the application simply gets better every time you touch it.